As I took my seat in the Federation Concert Hall to experience the Tasmanian Symphony Orchestra, I overheard the discussion of a young couple nearby who had turned up for the show. As things had it, they didn’t know which works would grace the program of this concert. And what a delight it was to start the night with the knowledge that young concertgoers chose to visit the orchestra simply to enjoy fine music without discrimination. The TSO surely surpassed the expectations of this couple – I say this bravely as such was the effect on my own ears. Breaking away from traditional programming of symphonies composed by the likes of Beethoven and Mozart, the TSO brought French Impressions into the hall. Indeed, the impression the orchestra provided was fresh and new; whether this extreme transformation of its sound is attributable to the programming or the combination of talent is hard to determine. The concert opened with Hosokawa’s Blossoming II – and the first notes marked the softest pianissimo I have heard from an orchestra. This eventually flourished into a range of defined and highly articulate qualities from across the sections – from aggressive percussive strikes to gentle air blown through the brass instruments without sounding a pitch. Strings presented piercing waves (albeit reminiscent of those found in Herrmann’s Psycho). The imagery in the accompanying concert program revealed delicate flowers with pale pink, white, and blue shades; the program itself described the Hosokawa work as influenced by Zen Buddhism and centred around the theme of a lotus flower. The music itself was a strong contrast to this dreamy branding – but as tense as the mood was, it was equally impressive. We were next graced with Cédric Tiberghien’s interpretation of Ravel’s Piano Concerto in G, which could only be described as “wow” (and indeed it was, as heard by an audience member behind me on the conclusion of the opening Allegramente). 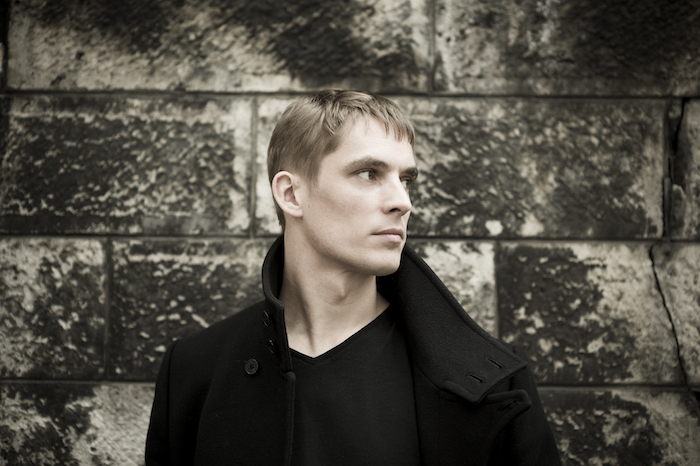 Tiberghien’s performance was as visual as aural – his hands, mouth, and back gestured along with the music as though he were speaking through each phrase. Quite astoundingly, his left and right hands adopted strikingly different characters throughout his performance. Melodic or harmonic elements became entirely independent and played to their own spirits – remarkable when his hands struck the keys simultaneously. 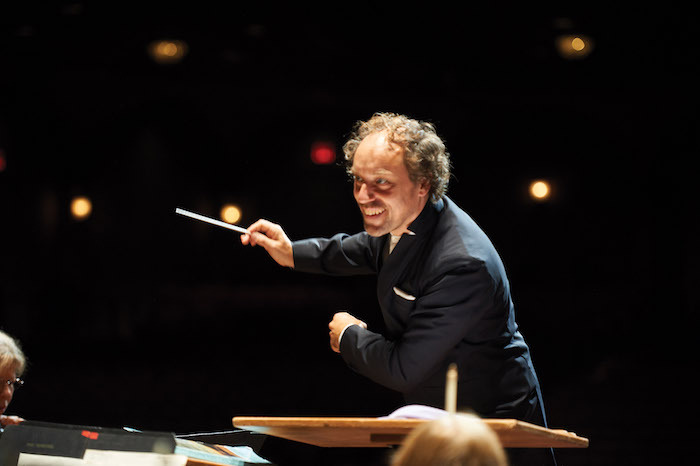 Tiberghien and conductor Otto Tausk performed with great chemistry – and as a consequence, the orchestra sounded entirely different in nature and showcased extraordinary versatility. Tiberghien’s encore was a solo piano piece by Ravel – Miroirs No 2, Oiseaux tristes. It trickled and bubbled and proved the performer’s ability to highly control his own creative expression through stunning technique. After interval, the orchestra brought us Poulenc’s Sinfonietta, with nothing but incredible flow across the sections, gentle wind and trumpet solos, and a warm body of sound from all. In the absence of ego and excessive stage presence, Tausk’s musical presence brought a new kind of sound from the players – incredibly tight and controlled and exploding with personality. To leave you unashamedly with a pun, I was truly impressed.